A rejuvenated body and soul is something that every traveller loves to possess if within the reach. Kerala is a land that has always attracted a number of tourists, mostly families who have a great interest in what the tour operators like Gogeo holidays love to call ‘spiritual tourism’. spiritual tourism could be called a sector of tourism which includes destinations that contains all that a tourist come to experience in Kerala, like an escape from their busy, conservative life and an inner peace. With passing time and the increasing popularity of spiritual tourism, a number of companies emerged allowing the families enjoy the spiritualism of Kerala by offering different Kerala tour packages for family. Reports from the past years suggest that a number of families have visited Kerala availing different spiritual trust packages and now exhibits a trend where there is a gradual increase in the ratio at which families visit the state. There are a number of tour promoters who take initiative in arranging and organising occasional packages and fantabulous spiritual tours including destinations like holy places and health tourist destinations like meditation and yoga centres. Some of the beast spiritual tourism destinations in Kerala which are mostly visited by families from almost all religions of the country are given below. The temple is one of the most important pilgrim destinations in Kerala which is dedicated to Lord Ayyappa. This temple located in the Pathanamthitta district of Kerala is a hill shrine which is set at an altitude of about 914 meters above the sea level on the fascinating mountain ranges of the Western Ghats. The place is one of the best destinations where travellers could experience the true feel of rejuvenation and peacefulness to mind. The pilgrims visiting the place should go for a 4km trekking from the Pamba so as to reach the shrine. Even though the temple allows believers from all cast and creed inside the premises, entry for women from the age of 10 to 50 is controlled in this holy place. The temple opens only from the month of November to Mid-January during Mandalakalam and will remain closed the rest of the year. A number of believers from around the world visit the temple during the Mandalakalam so as to offer the prayers and to watch the Makaravilakku and Mandalapooja. Pilgrims visiting the temple could even hire a taxi to the temple. One of the major advantages of the pilgrims visiting this temple is that it is easy for them to find transportation until Pamba. The Ambalappuzha Sree Krishna Temple, which is located at Alleppey, is one of the very famous Hindu pilgrim destinations in Kerala which is known for the delicious Palpayasam, which is served as offering among the believers visiting the temple. The famous and delicious Palpayasam is a sweet milk porridge which is made of rice, sugar and milk, the payasam could be said as a dream sweet of every Hindu devotee visiting the temple. This temple dedicated to Lord Krishna is located in the heart of the city called Ambalappuzha in the district of Alappuzha. This temple which is located about 14km from Alleppey houses Lord Krishna as Parthasarathy and mostly known as Unnikannan. One of the main attractions of the temple is the presence of an idol of Sree Krishna holding a conch to the left hand and a whip to the right hand carved in a black granite stone. An annual festival is held at this temple every year at the month of March and April which would last for a minimum of 10 days. A number of families visit the temple during this festival to enjoy the festive flavour and to seek blessings from the lord. Kerala is not just a land which is known for the presence of elegant churches and temples but a land which is known for the presence of the beautiful mosque. 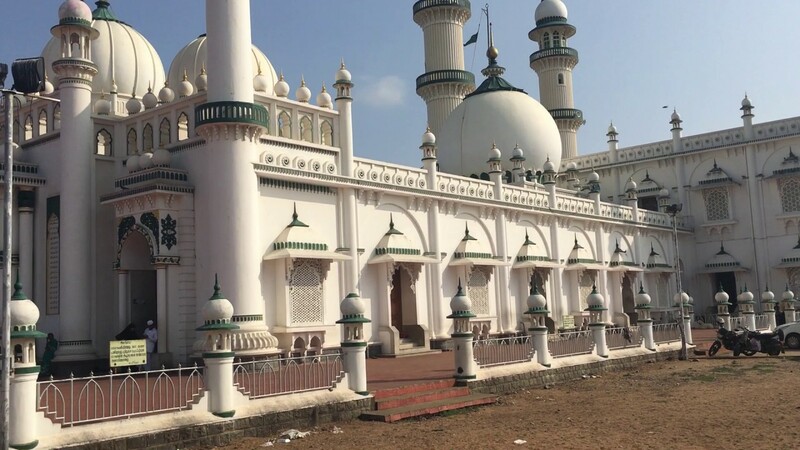 The Beemapalli Mosque which is located on the outskirts of the capital city, Thiruvananthapuram is one of the most popular pilgrim centres for Muslims in Kerala. The Mosque located about 12 kilometres from the capital city Trivandrum is known among the Muslims for its annual Urus. This famous mosque is dedicated to a woman called Beema Umma who was believed to possess magical powers. It is believed among the locals that the women arrived from Mecca and was one among the members of Prophet Mohammed’s family. Devotees visiting this mosque offer silk, oil and flowers to the women. One of the main attractions of the mosque is the Chandanakudam Festival which is celebrated for a minimum of 10 days which the devotees celebrate with colours and joy. A number of devotees visit the place with offerings irrespective of the cast and creeds so as to offer prayer. Kerala being a rapidly developing spiritual tourist destination which is most visited and explored by families is now a land known as the best destination for pilgrims from all creeds and cast. Promoting the trend of families to visit these spiritual tourist destinations as a number of new Kerala family holiday packages are organised to these spiritual destinations of Kerala. One of the main aims of the Kerala tourism department in organising budget spiritual tour packages is with the primary aim to promote spiritual tourism in the land. Kerala being land with an abundance of temples, churches and mosque is one of the best destinations to the south of India for spiritual tourism. 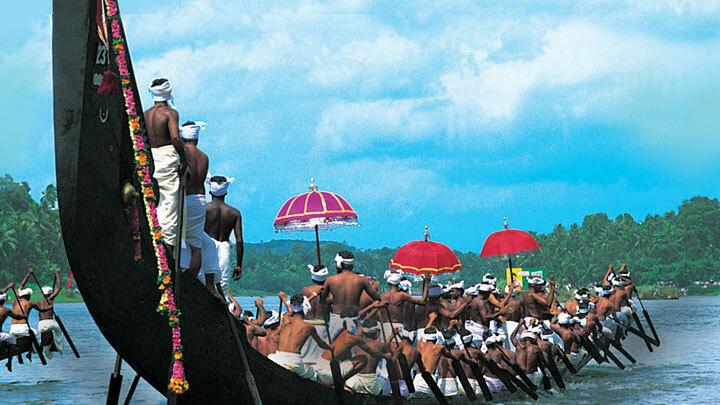 We Keralite have heard about the famous water regatta, Aranmula boat race, a part of our tradition. Do you know that an ancient life experience of a Brahmin late came to be evolved as the most respected and enjoyed culture of Kerala? We have witnessed its eminence in close; still, there are some including me who are not aware of its significance. This great festive like event is held on the last day of the harvest festival of Kerala, Onam that is Uthrittathy according to the Malayalam calendar. Since this day comes under the period when all the other boat races are scheduled, you can expect a number of visitors during this time. It is also a golden opportunity for those who have missed Nehru trophy boat race in Alleppey. More than the natives of Kerala, the people from other states or countries are more thrilled in watching these events. This time taking this fact into consideration, many travel organizers are arranging a trip in this Onam from other parts of the country as well. Let them enjoy and understand our tradition’s magnificence, as they always do. Native’s f Pune is more attracted to enjoy the water fiesta as they long to watch these kinds of game that arouse the spirit of people. Thus along with other trips in Kerala, the last day of Onam is purely dedicated to watching Aranmula boat race. It is not just the race, but there are some more attractions for this. Pune natives can enthrall on having the best Kerala meal this time and can ask for any vegetable curry they want. This is a special part of the day, where a sumptuous feast is organized for masses arranging a variety of Kerala traditional dishes. Thus, various trip packages like Enchanting Kerala tour packages from Pune including great kind of attractions to watch on this special day are arranged by various trip arrangers. Along with which the curious people from Pune can witness the temple, Sree Parthasarathy temple for which actually the event is well connected. 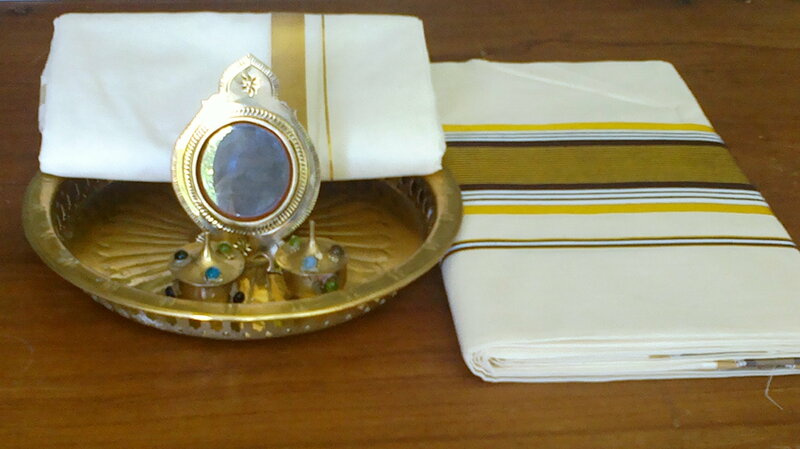 Also, they can take away with them the most precious and auspicious special type of mirror, the famous Aranmula mirror. The interesting fact is that the material used for it is not glass but something else. Let’s find out what it is, before, which understanding the mythology of the temple is necessary. The Aranmula boat race has a strong connection with this temple. Actually, it is organized to offer tribute to the deity, Lord Krishna and the day when it is conducted is the annual celebration of the idol when it was installed. The presiding deity is Lord Krishna in the form of Parthasarathy, the role played by Lord Krishna as the Chariot of Arjuna, the Pandava prince in the great Mahabharata war. The temple is surrounded by various myths and the sight of the temple itself is awesome and majestic. 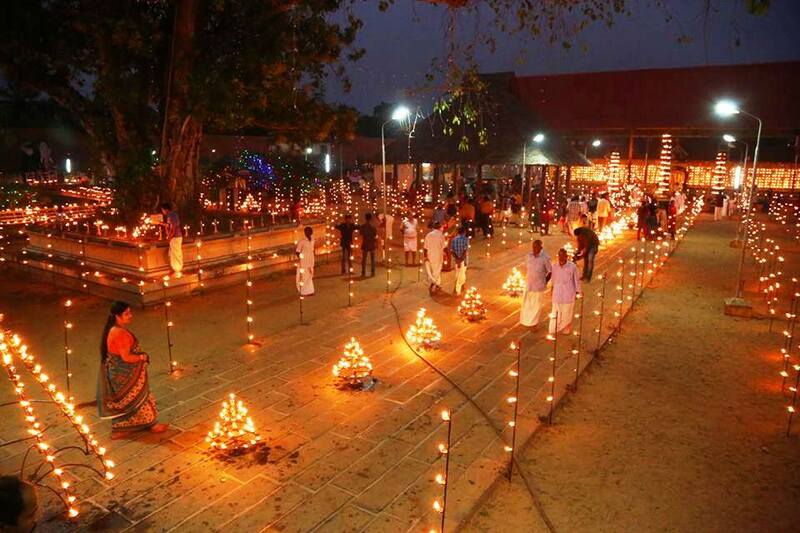 This holy temple is located on the banks of river Pampa at Aranmula Village, about 128 kilometers from Trivandrum. The temple is said to have 1700 years old. An epic is related to the evolution of the temple is as such that after gaining victory in Mahabharata war, the Pandavas continued to live and at last made Parikshit, the grandson of Arjun the king and they left for pilgrimage. On the course of their pilgrimage, each of them has installed an idol of Lord Krishna in various places. Of which, Arjun has installed the idol at a place called Nilakkal Narayanapuram which was later taken to the present place. The idol was brought here with great welcome on a boat made of 6 bamboo sticks which later evolved into the name of the village as ‘Aranmula’ meaning the 6 bamboo sticks. This day is celebrated annually but how a boat race was envisaged is a story. 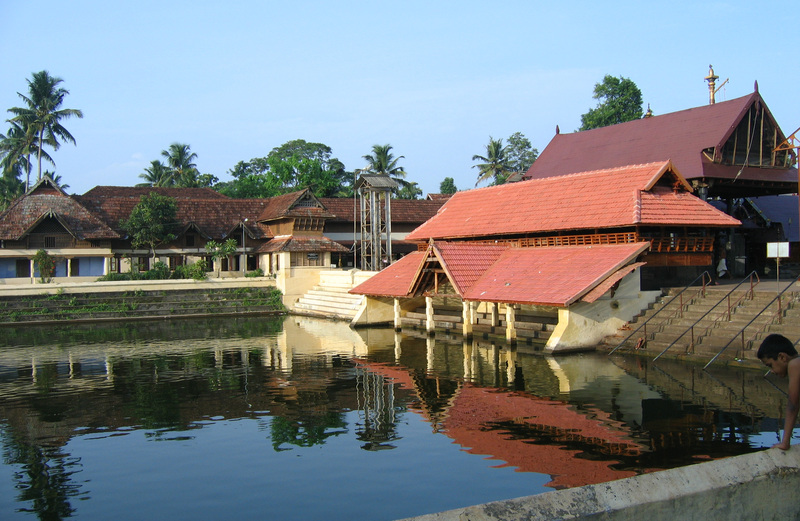 There are four main entrances to this temple of which one points to the Pamba River. One noticing aspect is that the door of the sanctum sanctorum will never be fully closed. It is always partially closed so as to denote the permission given by Lord Krishna to his devotee, Arjun to visit him at any time. One needs to climb many steps if they are entering from east and North of the temple. Thus getting a chance to visit the temple premises and rituals is considered sacred. Natives of Pune can enjoy the ancient art form, Arjuna Nirtham on their tour free of cost. This is a unique mass feast arranged by the temple authorities as an offering to the Lord and devotees can attend the feast. It is a huge celebration of the temple, conducted on the auspicious birthday of the Lord, Ashtamirohini. 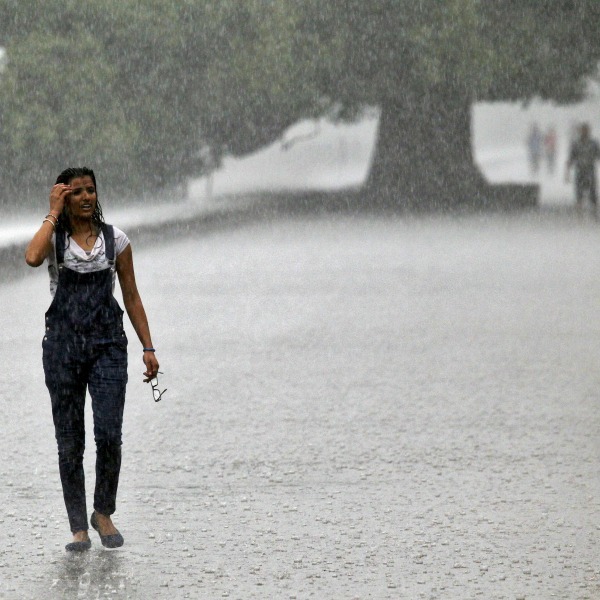 Have you been to Kerala during this time? Since it is a festive time, the state will glitter in joy. Although being an off-season for tourism, you can watch many tourists arriving Kerala for the exclusive watch of these festivals like boat races especially along with Athachmayam and other rituals. To attract them, more package itineraries are included this time focusing on certain tourists like people from Bangalore and Pune. The natives of Bangalore are more inclined to the technical world but are highly religious and jovial. 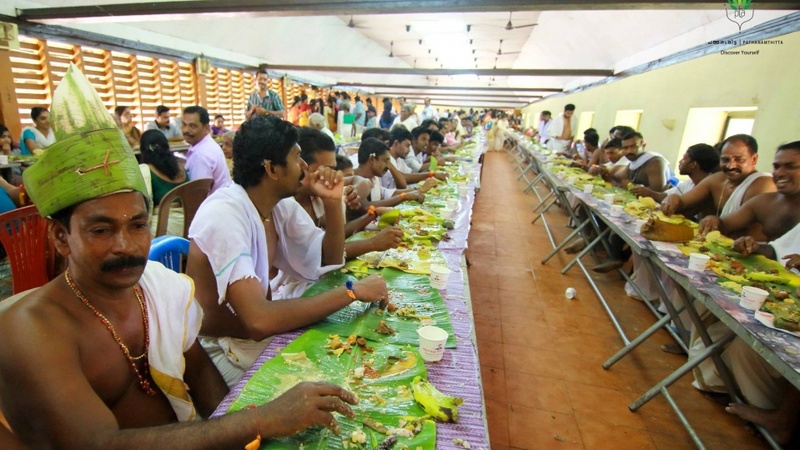 What they seek most is the food in Kerala; this time they can get it with more pleasure as Vallasadya is here, where devotees are fed with Kerala meal having 45 dishes. Along with a sacred delicious meal in the temple premises, it is a chance for them to enjoy the boat race. Hence, various Kerala tour packages from Bangalore with low rate are including the visit to Aranmula village during Onam season. Around one lakh people will be attending the feast and you can ask for any dish, which will be served to you. Actually, this feast is arranged specially for the participants of the boat race or the crews of Palliyodans (snake boats). The legends say that during the ancient period the rice and other agricultural products were transported by driven boats on Pampa River to the King’s palace. Once a boat carrying these products got struck on the bank of the temple. Nobody could make it move even the soldiers of the king. The king asked his astrologer upon whom it was cleared that a Brahmin family is starving during Onam and is not able to cook anything due to poverty. They have prayed to the Lord and it is the magic of the god himself who made the boat to get stuck. The king decided to give a part of the products to the family even then the boat did not move. Then on further inspection, they came to know that there are more families there who are starving. The whole product in the boat was distributed to all families. Thus after this incident, the mass feast was arranged to the devotees during Onam, never letting anyone to stay empty stomach during Onam. The oarsmen will come in a boat to the temple and the feast is for them. After the incident of the Brahmin family, king dedicated to conducting boat as a token of respect to the deity. For the participants of the race, it is not just the matter of competition but they are actually celebrating the anniversary of the installation of the idol in this temple. Various snake boats or more commonly the Palliyodams where decorated and is head by a chief to control the oarsmen. After the morning, rituals in the temple and seeking blessings from God each team will set for the race. A great kind of spirit is aroused in everyone when they row the boat. Even the spectators will entertain the oarsmen by singing Vanchipattu. Thousands throng the banks of the river Pamba to watch the race exclusively. Thus during seasons, by checking the Best Kerala tour packages price, it is evident that these are not just thrilling the natives but is equally influencing the travel concepts of people from different places of the world. One famous aspect of the village is its unique mirror named Aranmula Kannadi. Unlike other mirrors, it is made using a unique combination of an alloy of copper and tin. There are families around the temple who are expert in making these mirrors. They have been doing this work for centuries and with much perfection. According to them, any flaws in making the mirror are considered undesirable and will bring bad omen. It has no glass surface and it is really worth. Devotees used to take these homes and believe that keeping this in the home can bring prosperity. A tedious work is behind its construction. Your trip to this holy village will be a worthy and soon check the availability to trip Kerala during this time, enjoy the big feast and behold the energetic boat race in the river Pamba. Andaman and Nicobar islands- probably the most beautiful island on the earth, nestled in the heart of the Bay of Bengal, and a fascinating spot for the travel enthusiasts. This archipelago truly offers a tranquil and out of the world holiday experience for any kind of travelers. The virgin beaches here are simply paradise for the honeymoon couples who head out here. The numerous small islands here offer endless sightseeing spots and countless adventure sports to indulge in. Port Blair- the capital city of Andaman offers a wide range of tourist attractions and awe striking historical monuments. The land offers something for any kind of travelers, be it nature, history, and culture. Being the starting point of many of the Andaman trips, this boasts of plenty gorgeous places to discover. When you travel to Andaman with some Exciting Andaman tour packages offered by Andaman Great Escapes, this would be your Key pit stop, which will never go to disappoint the traveler in you. You can simply revel in the turquoise water, have some adventure activities, or get to know the real culture and history of this place. Here are some of the best picks for your day at Port Blair. Best time to visit- Between October and March, The land is blessed with a tropical climate all around the year, but the sightseeing and other tourist activities are not highly recommended during the monsoon season which happens between June and September. There would be many deals and offered during this offseason also. How to reach– You can reach the capital city of Port Blair from all the major cities of India including Delhi, Bangalore, Mumbai, Kolkata, Chennai etc. Best stay option in Port Blair– There are many top class resorts and hotels available in this capital city of Andaman. Some of the best picks are Seashell, Sinclairs Bayview, J hotel, fortune resort bay island, hotel Sentinel etc. Port Blair is home to some of the best historical places in the archipelago. Here are some of the must visit. This prison turned museum is one of the most important historical places in the entire archipelago, popularly renowned as Kaalapani. This place now remains as the testimonial of the freedom struggle of our freedom fighters during the colonial era. This has become a national memorial that gives insight into the depth of the Indian freedom struggle and is one of the most important places to visit in the city of Port Blair. As the name indicates, the architecture of this place is different to the normal solitary cells, where once our political leaders were used to get exiled and executed. Entry fee- INR 10 per adults and INR 100 for taking video. Main attractions- The light and sound show in the evening. During this show, you would get to known the tales of the place in perspective of a peepal tree that stood to witness all the atrocities done by the British rulers. The voice used for the Peepal tree is the legendary actor Om Puri. This is yet another historical sight in Andaman that stood as a reminiscent of the World War second. These were attested to a time When the islands were attempted by a siege. These can be also seen other places like Corbyn’s Cove beach and Ross Island. Here you can witness the rustic beauty of the glorious pre-independence day and is a prominent place to visit apart from the usual picturesque sightseeing spots and beach destinations. This place was built during the colonial time in 1883 and still a popular wood processor in Asia. For anyone who wishes to visit a unique place rather than the typical tourist places, this would be a good option. You can easily club this place with your Incredible Andaman tour packages from Ahmadabad for a delightful day at the capital city. Attractions- Here you can see the Japanese bomb crater which dates back to world war second, you can also shop for unique woodworks as souvenirs to take back home. For a delightful sun basking and swimming experience, head out to Corbyn’s Cove beach, which is located at a distance of 7 kilometers on the South part of the town and can be reached easily in 30 minutes. This would be a perfect spot to include in tour Port Bliar sightseeing spots, where you can spend some relaxing time among the tranquil backdrop. For all bird lovers out there, this would be the perfect spot to add in your itinerary Exotic Andaman tour packages from Delhi. The place is noted for its magnificent sunset view and also offers incredible views of the coastline. You can witness more than 40 varied species of birds in here. You can also have a picnic out at the Munda Pahar Beach near this place. Spend some leisure time on the beach enjoying the view or collect some unique shells and attractive blue corals on the beach. You can also go for a trek up to reach Munda Pahar, which would be a pleasant retreat. How to reach – The place is located at a distance of 25 kilometers from Port Blair and can be easily reached by the road in private vehicles. This is one among the famous museums in Port Blair and is the best spot for the archaeological and marine life enthusiasts. This is a must see spot in Andaman that can be easily clubbed with your Andaman tour packages. The place is well maintained and also offer many informative pieces of information about the marine life, people here, the history of islands, archeology and so on. The place is well maintained by the Navy and exhibits a lot of crabs, fish species, sculptures and corals, the skeleton of a blue whale on entrance etc. This would be the perfect spot for having a look back to the world of native tribes of this archipelago. The fascinating world of the Jarawas, Nicobarese, onges, shops, Sentinelese are displayed here. This would be an informative walk through the historical and cultural artifacts of Andaman islands. The exhibits of the murals and sculptures here offer an insight into the lifestyle of the indigenous tribes of the islands. For every art enthusiast, this is a must seen spot in Port Bliar. Photography is not allowed inside the place. Here you can witness a fascinating exhibit oof the endemic marine life of the archipelago and in the Pacific region. You can view more than 350 species of marine life in here, that are found only in this union territory. You can also indulge in many watersports at the Rajiv Gandhi water sports complex nearby this place. You can’t click pictures inside the place. This would be the absolute delight for nature lovers and stand out from the rest of the museums here. It offers a lot of zoological stuff and information for the nature enthusiasts and showcases many marine specimens, bird species, and mammals. This can be the best spot for a souvenir shopping experience in Andaman that is located at the heart of the city of Port Blair and should be definitely on your Best honeymoon packages for Andaman. You can collect some of the best gifts for your friends and families from here. There are varied collections of beautiful art pieces, Bangles from coconut shells, Lampshades, murals, decorative stuff, available here reasonable rates. This fine farm that can be entitled as a mistress of spice varieties if located on the way to wandoor near Port Blair. The place is spread over an area of more than 80 acres and is a cultivation spot for the spices. You can have delightful nature walks and witness beautiful demonstrations of farming that will fascinate you. This is marked as the highest peak in the South Andaman and is located at a distance of 15 km from the city of Port Blair. You can have amazing views of Ross and Havelock Islands from this peak and also there are an option to go for trekking till Madhuban through dense forests, that covers around 16 kilometers. The backside of the Indian 20 rupee note contains a view from Mount Harriet. This would be the perfect options to include in the Andaman tour packages for all the adventure lovers out there. The place can be easily reached from the Mahatma Gandhi National Park and boast of exquisite marine life. The Jolly Buoy Island is one among the best spot to indulge in Scuba diving in Andaman. You can also witness fascinating views of abundant corals in here by taking part in Snorkeling, glass bottom boat ride, scuba diving etc. The best time to visit here is between December and May. The place is a no plastic area. Here you can have the fascinating experience of the glass bottom boat ride, that will let you view the exquisite marine life. The place is best known for its idyllic charm and serene ambiance. Wandoor is the gateway to the Mahatma Gandhi National park which is aimed at protecting the marine life of the archipelago. You can enjoy some of the best water sports in Andaman in here including snorkeling, scuba diving etc. The glass bottom rides are available from Jolly buoy up to red skin islands.There are Amazing Andaman tour packages from Hyderabad, Bangalore, and all other major parts of the country are available, which will let you have a complete hassle free travel by taking care of all your travel amenities. There are also shipping services available to reach here from Chennai, Kolkata etc. For island hopping near the capital city, the best picks would be a North Bay Island, Ross Island, and Viper Island, which are all located few miles within the capital city and can be easily clubbed together and cover in one day. The orcs Island can be described as the absolute ghost town in the archipelago. This place boasts of the ancient glory and you can still the reminiscent artifacts like a graveyard, ruined church and many other buildings in European style. The place was then served as the headquarters for the British and now offer as a prominent tourist attraction in Andaman. For all the water babies out there, the North Bay island would you perfect hideout place, You can explore many unique corals and relive in the panoramic natural settings here. The most practiced activities here include scuba diving and snorkeling. Viper Island holds some historical importance, as during British era the women prisoners were kept here. This is yet another must see a spot near Port Blair. Andaman holds a lot of other sightseeing spots, secluded getaways, thrilling activities for all kind of visitors. People from all over the world come here to experience different things. Some search for adventure when some to get insight about the unique marine life and tribal communities. Whatever your interest are this paradise of an island would never cease to entice you with its treasures. Comparing to the Northern part of India, South India is really vibrant and charming and there are many enchanting hideout places that are blessed by the vastness of the Western Ghats. Wayanad is one such places in Kerala, where you can find some of the greenest parts and most vibrant holiday spots, which can be easily clubbed with Stunning Kerala tour packages with price, that are offered by many recognized tour operators like Seasonz India Holidays, to provide the travel enthusiasts a completely hassle free travel. There are many hidden gems of green paradises near Wayanad that you may even have not heard of yet. Madikeri, Nilgiris, Kannur, Bandipur, Kozhikode are some of those places that encompass the spectacular views of nature and can be a real paradise for nature enthusiasts. All these destinations are easily reachable from Wayanad within a 150 km range, which will take the only maximum up to 4 hours to cover. Here are some of the best picks. These would be the perfect spots for an unplanned trip, which are tucked in the Western Ghats. This mystic waterfall in Kozhikode where you can listen to the whistling of the woods holds some of the most scenic environs in the Western Ghats. The Chalippuzha river is what separate into this gushing currents and as the name indicates, the nearby Thusahragiri mist covered mountains, is another fascinating spot to witness. The trek up to reach here can be exciting for you. As you enter the forest region you would see the Mazhavil Chatham falls, Erattumukku falls and the Thanni Muthassi, lie within a 500 m range. All these surrounding places are rich in bio-diversity where you can witness exotic flora and fauna. These are one among the lesser known falls near Wayanad, which can easily combine with the itinerary with Kerala tour packages. You can trek up into the woods to reach the falls, and the nearest town is Kidenchery which is located at a distance of 11 km. Nearby attractions- Kozhikode Backwaters, Lokanarkavu Temple, Kappad beach, Kadalundi bird sanctuary, Beypore beach, Thamarassery churam. This would be your perfect one-day trip spot near Wayanad. During your Kerala trip, plan a one-day picnic to the scenic Brahmagiri wildlife sanctuary in Kodagu, which is yet another lesser known exotic place to visit near Wayanad. This would be an idyllic spot to explore with friends or for a picnic day with your family. The sanctuary offers rich biodiversity and many verdant peaks that offer amazing views. The place is located at a height of 1607 m above the sea level and the park is one of the highest points in the sanctuary. The place is also perfect for trekking. Brahmagiri is more like a border between Karnataka and Kerala and the trek to reach here can start from Thirunelli, but you need permission from the forest officer before beginning the trek. To sweep into the wilderness add these place with your Kerala tour packages from Bangalore and other cities. This place is also known as one of the toughest treks in the entire South India and yet another hidden spot near Wayanad. You would feel the sounds and smell of nature and the crisp mountain air piercing your senses as you trek along the mountains. You can start the trek from the Muthappanpuzha village nearby which is situated at a distance of 4 km away from Kozhikode. 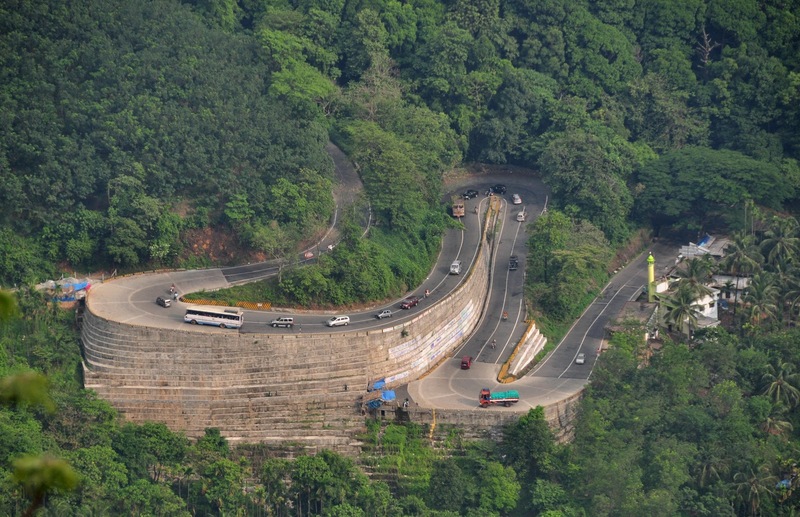 This place can be easily reached via Thamarassery churam. The route will also let you savor amazing views of deep forests and landscapes. This would be an ideal pick for camping with a group and an adventure trek. This scenic place located in Kannur is best to witness the unspoiled scenic beauty and lush green grasslands. This Western slope of Ghats spreads across and area of 55 square kilometers and yet another best hideout spot to visit near Wayanad and can be a perfect pick for your ultimate bucket list. The sanctuary is home to some exquisite flora and fauna and also some semi-evergreen forests. You can spot, sambar, gaur, elephants, barking deer, spotted deer, Malabar giant squirrel and so many distinctive species in these premises. The sanctuary’s highest peak is the Katti Betta which is situated at a height of 1145 m.
The nearest town from here is Iritty which is located at a distance of 5 km and can easily access by private vehicles or bus. To spend a day amidst of the best of Nilgiris, head out to Bandipur. Bandipur Park is one of the fine places to visit close to Wayanad. The park location is known for the presence of large cats and elephants inside the huge wooded region cover that runs over a place of 874 so. Km. placed along the Mysore – Ooty highway within the Western Ghats, the sanctuary is an incredible weekend break out amid the enforcing presence of mountains and wealthy greenery. Collectively with the Mudumalai herbal International Sanctuary, Wayanad herbal global Sanctuary, and Nagarhole Countrywide Park, it creates the most important biosphere reserve in India also known as the Nilgiri Biosphere Reserve. Skip around the multitude of teak and sandalwood wooden look ahead to you in the midst of breathtaking natural beauty. And it’s truly a couple of hour’s power from Wayanad. Don’t tell me you haven’t started out making plans a ride to Bandipur for the upcoming weekend already! The capital city, port Blair is one of the stunning islands in the Andaman archipelago. The destination promotes tourism largely, and it offers better amenities for a perfect Andaman tour. During the journey to Andaman, you are all getting confused about how to start the journey? What is the most attractive destination which you can visit there? What are the essential things which you should carry? Lots…… before starting the journey, you should make a detailed study related to Andaman, and also check some fantastic services provided by popular tour operators also. I can suggest you one helpful Andaman and Nicobar tourism provider, “Andaman tour travel”. One of the leading Andaman tour operators in India and their valuable services are always memorable. There is lots of Andaman tour packages are offer by them and it from various part of India too. Most of these packages start from the leading Indian cities like Chennai, Mumbai, Kolkata and much more. Cellular Jail: The popular Cellular Jail, informally known as Kālā Pānī, was a colonial prison situated in the capital city, Port Blair. The prison was utilized by the British especially to exile political prisoners to the far off archipelago. Many prominent Indian freedom opponents together with Batukeshwar Dutt, Yogendra Shukla and Vinayak Savarkar, among others, had been imprisoned here at some point of the battle for India’s independence. Today, the complex acts as a national memorial monument. And it is one of the most attractive as well as prominent tourist destinations in Port Blair too. Mount Harriet national park: The prominent Mount Harriet National established in 1969, covers around 4.62 km2 and it is the highest point in south Andaman too. Mount Harriet possess at an elevation of 383 m which is part of the park is the third-highest peak in the Andaman and Nicobar archipelago next to Saddle Peak 732 in North Andaman and Mount Thullier 568 m in Great Nicobar. From the top of the Mount Harriet, you can watch outstanding views of the Ross and Smith islands. The Park is recognized for its Andaman wild pigs, turtles, saltwater crocodiles, Tytler’s leaf warbler and robber crab. One fresh location to enjoy trekking, mount walking and all. Corbyn’s Cove: the beautiful beach, and is the ideal location for swimming and bathing. Shores of the beaches are fringed with greenish palm trees too. The beach is located around 7 km from Port Blair is the ideal spot for sunbathing and other water sports. The beach is ideal for basking in the sun on hammocks and enjoying water sports in the cerulean waters. Bharatang island: The beautiful Bharatang Island which is located just 93 mi north from the capital city port Blair, and is one of the stunning attraction in the Andaman islands too. A small trip to Bharatang Island offers the travelers to experience the thrill of walking across the low-lying bamboo bridges. From this point arrange one houseboat, and make the journey to limestone caves, and the travel may lie between the mangroves, and it is a little bit difficult too, these mangroves are said to house crocodiles. Japanese bunker: These historical bunkers near Corbyn’s Cove offer a peek into the intriguing past of the island. They were built during the Japanese occupation in World War II and are now ideal picturesque attractions too. Samudrika marine museum: Samudrika Naval Marine Museum offers complete knowledge about the history and geography of Andaman and Nicobar group of islands along with striking corals and fishes. It thoroughly managed by Indian naval authority. Chidiya Tapu or Bird Island: Chidiya Tapu is also famous for bird watching, and it consists more than many species of birds. November to April is the perfect time for backpacking and the peak time starts from the month of December to January. Port Blair is also called known as the initial destination for Andaman and Nicobar Islands. Port Blair is attached with mainland India by using air and sea. Even though it is a 2-hour flight from mainland India to Port Blair, but it takes 3–4 days by means of the sea to attain Chennai and Kolkata. Air connectivity to Port Blair is available from Chennai, Kolkata and Mumbai too. All flights bound for Andaman and Nicobar Islands land on the Veer Savarkar global Airport. Sea tourism connectivity is available from Chennai, Kolkata angd Vishakhapatnam is board in Haddo Wharf. 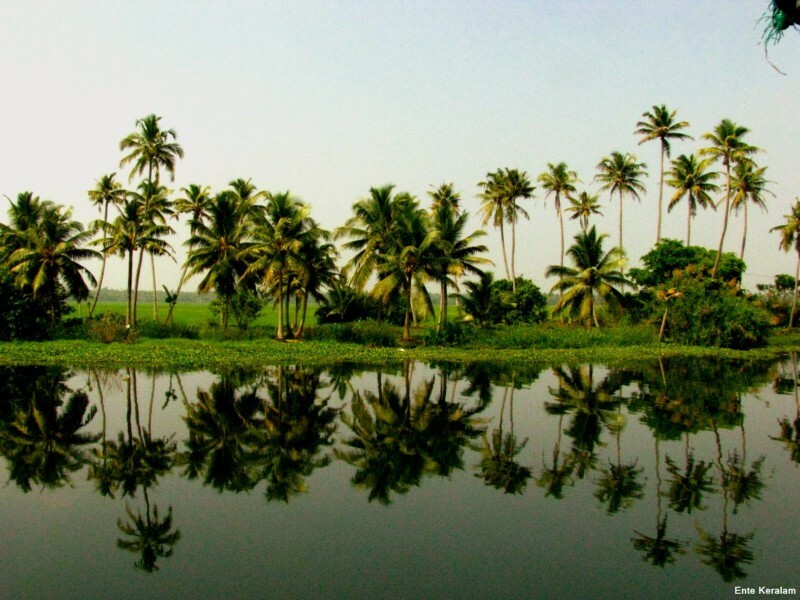 Farm tourism is the latest concept in the Kerala tourism industry. It gives the tourists an opportunity to experience the real enchanting and authentic contact with the rural life in Gods own country, the taste of the local genuine food and gets familiar with various farming tasks during their visit to Kerala. You can now explore this opportunity which has become an integral part of ecotourism in Kerala with some Ultimate Kerala tour packages from Surat. The main advantage of farm tourism is that it preserves our environment and cause no damage to nature. If you are traveling with some trusted tour operators like Holiday Mango Travel, you will avail this opportunity of experiencing this Eco-friendly tourism and Kerala agricultural pattern to the fullest. Boating, hunting, fishing, trekking etc. Kerala is an agricultural society, our main earning was from cultivation. Even now there are many people who preserve this tradition. 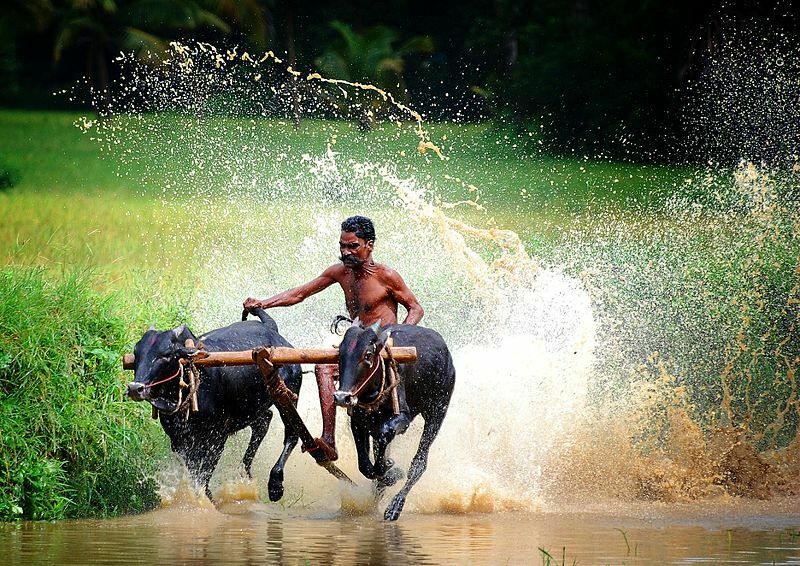 So there are plenty of opportunities to Experience farm tourism in Kerala during your trip with Kerala tour packages. Nothing has to be created for developing farm tourism here. Nature has already blessed this state with plenty of natural bounties and more than one-third of the geographical area has tea, cardamom, ginger, coffee, rubber etc. plantations. Idukki can be the best spot to explore some spice plantations and also the farm tourism in Kerala. The weather condition of this hill station is suitable for cultivating many species of fruits and crops like tea, coffee, cardamom which cannot be found in other parts of Kerala that much. 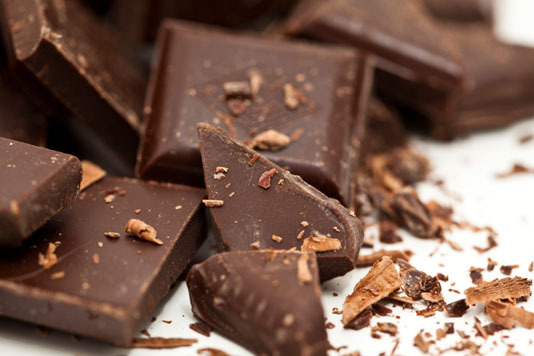 Idukki holds the second highest position in the production of agricultural products. The most attractive thing about farms are everything is natural there. You can get fresh vegetables and other products which will be a pleasant experience for you. Here are some of the best places to enjoy farm tourism in Idukki which you can explore during your visit to Kerala. At Escape Farm, there are many leisure options. trekking could be an unavoidable a part of your life at the farm. you may also plant saplings supplied to you at the farm. The rich bio numerous place gives you sufficient possibilities for chicken looking. you could visit the nearby hills protected shola forests or the Chinnar sanctuary and get an in no way earlier than experience in looking a number of the rare indigenous excessive-altitude birds.there are many tribal villages around break out Farm: Kanthalloor, Marayoor, Kizhantoor, Karayoor, to call a few. choose a jeep pressure or a stroll to those villages and enjoy their tradition, customs, religion and culinary ways. you could enjoy a ride thru the meandering jungle paths enjoying the good sized type of indigenous flora and fauna as get away Farm shares its boundary with the Anamudi Shola Park. The Harvest sparkling Farm is located in the lap of the Cumbum Valley at the lower Camp, around 12km from Thekkady. A short 15Kms power down the windward aspect of Kumily, Thekkady, Kerala, the farm is strategically placed at lower Camp, in communion with pristine nature yet near small towns and the famous Periyar Tiger Reserve farm has very precisely executed the popularity of a licensed organic farm and it continuously works to live up to the accomplishment. the whole lot approximately the farm is purely natural. The farm boasts of orchards laden with fruits like papaya, mango, and grapes.The farm live right here might be a clean revel in for you. Harvest Farms offers farm stays with a vision to convey people towards natural living. The enthralling splendor of the farm will go away you merry and at peace with yourself.Suites within the farm are easy however cozy, lightly however fantastically furnished to hold the organic aura of the farm.The farm has a watchtower which promises the maximum breathtaking view of the Cumbum valley. Trek to the give up of the farm to the tower offer unforgettable experience. It is located in the Kanthalloor village of Idukki district and known for its tropical fruits and vegetable cultivation, there are three storied accommodation and well-furnished room available for over night stay. Have you ever made the stunning trip to the world of water; if your answer is yes, then I have another Question that the ideal destination which you selected for your trip is Kanyakumari? If yes….you are so lucky. Or else immediate to conduct another trip to Kanyakumari, because this is the place where you can separate your soul from your body. The gorgeous place always offers the slight sound of temple bell on the behalf of sea waves. And one thing Kanyakumari is a temple city too. Like the everywhere smell of sandals flourished. Don’t know how to explain its mesmerizing feel. Make your fabulous Kerala tour packages to Kanyakumari, and the place is at most perfect for family travelers also. From Gogeo holidays you will get attractive packages as well as impressive offers, without any doubt Gogeo is the best option for you during your Kerala trips. Kanyakumari also was known as Kanniyakumari, in earlier times known as “Cape Comorin”, is a settlement in Kanyakumari District. Its exact location is at the southern tip of the Indian subcontinent. The name arrives from the Devi Kanya Kumari Temple in the area. Kanyakumari town is a part of the Cardamom Hills, an addition to the Western Ghats range. The adjacent town is Nagercoil, the administrative control center of Kanyakumari District, 22 km away. Kanyakumari has been a township since Sangam period and an accepted tourist destination too. According to history, Ptolemy’s geography portrays commercial relations between western India and Alexandria, the major eastern emporium of the Roman Empire. From early stages, he identified that Kanyakumari along with the Gulf of Mannar as a hub for pearl fishery. Moreover, he identifies Korkai a place to the east of Kanyakumari, as an emporium of pearl business. Another antique Greek book, the Periplus of the Erythraean Sea, hold sailing instructions for merchants from the Red Sea to the Indus and Malabar, and even indicates that the coast from Barygaza had a universal southward direction along to and far beyond Cape Komari. Kanyakumari District includes those parts locally called as Nanjil Nadu and Idai Nadu. Names of the villages of the district such as Azhagiapaandipuram, Cholapuram, Bhoothapandy and Kulasekaram reveal that these destinations were governed by several rulers at diverse periods of time. Nanjilnadu was under the control of Pandiyas till the untimely 10th century and then under Cheras. The Kalkulam and Vilavancode taluks were under the control of the Chera Dynasty. When the influence of Chola declined due to a number of Hoysalas and western Chalukyas, the Venad Chieftains took advantage of the condition and gradually established they seize on the considerable region in Nanjilnadu. Veera Kerala Varma, one such chief, styled himself as “Nanjil Kuravan”. The invasion commenced by Veera Kerala Varma was to a large coverage persistent by his successors and completed by AD 1115. The region of Kanyakumari is very beautiful. Since the early 1970s, tourism has been commerce in the town. Because of this, it is one of the hardly small towns in South India where one can hear many of the dissimilar languages of India spoken in the street. The support of tourism has enlarged, with increasing importance on attractions outer surface of the town, such as the nearby landscapes, together with historical and religious sites found around the district. Though there are quite a few places of tourist interest in the town and district, Kanyakumari is particularly popular in India for its spectacular and exclusive sunrise and sunset, thanks to its being nearly bounded by waters. Nagercoil is situated in the southern tip of the Indian peninsula, an attractive tourist destination in Kanyakumari. Its gorgeous look attracts traveler’s lot, and the geography is awesome. Nagercoil is a temple city and their temple ornaments are highly popular. Plan your Kerala trip packages to Nagarcoil and experience the tradition through Holiday Mango travel.com. Nagarcoil contains its unique taste; you can taste a variety of traditional food recipes during the street of Nagarcoil. The recipes include Theeyal, Play Appam, Vendhaya Kuzhambu, Kinnathappam, Ulunthan Choru and Nanjil fish curry. Trivandrum international airport is near to Nagarcoil, so people can take flight easily from there. Nagercoil junction railway station and Anna bus stand are together reduced the travel burden. You can discover and experience new through Nagercoil, and attractive destinations include Ulakkai aruvi, Nagaraja temple, Vanathirupathi and rajas mall etc.